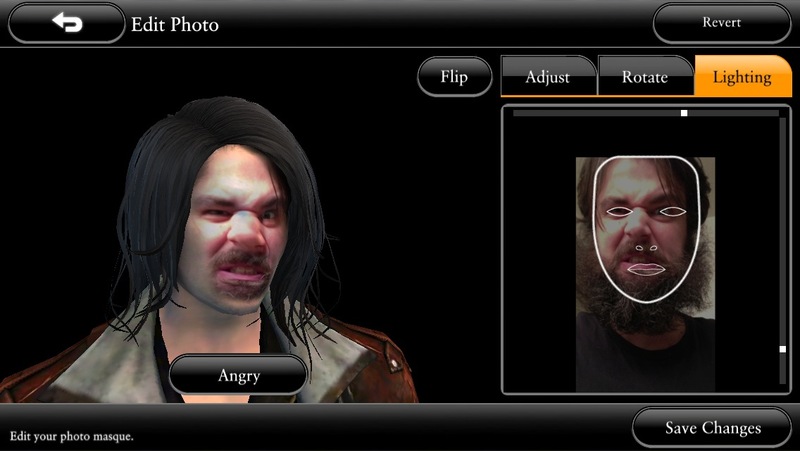 When Square Enix announced a vampire-themed brawler at E3 this year, the biggest feature that stood out about it was the ability to import your own face right into the game and onto your character. Well, Bloodmasque hit international App Stores today and I’ve been goofing around with it ever since, and let me tell you, do not underestimate how much fun importing your own photos can be. At this point, I’m already having a hilariously good time and the actual game hasn’t even started yet. Once your photos are imported you can adjust the size, rotate, flip or adjust the lighting so it matches the skin tone of the character, if you want it to. 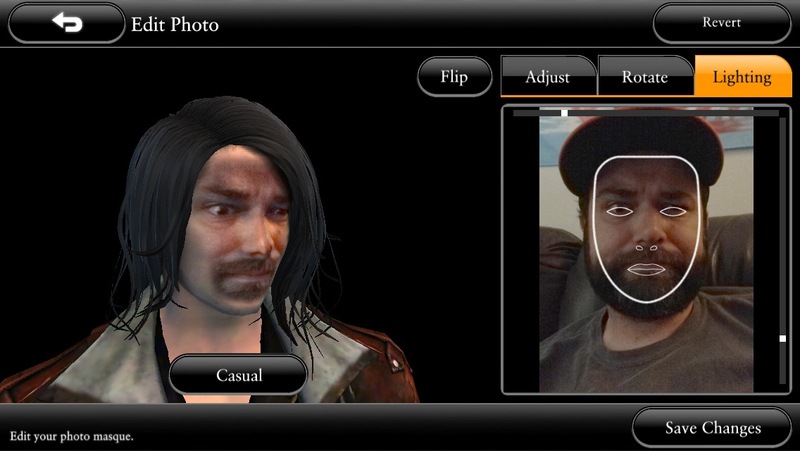 You can also adjust hair it seems but I was so giddy I didn’t even check out that option. 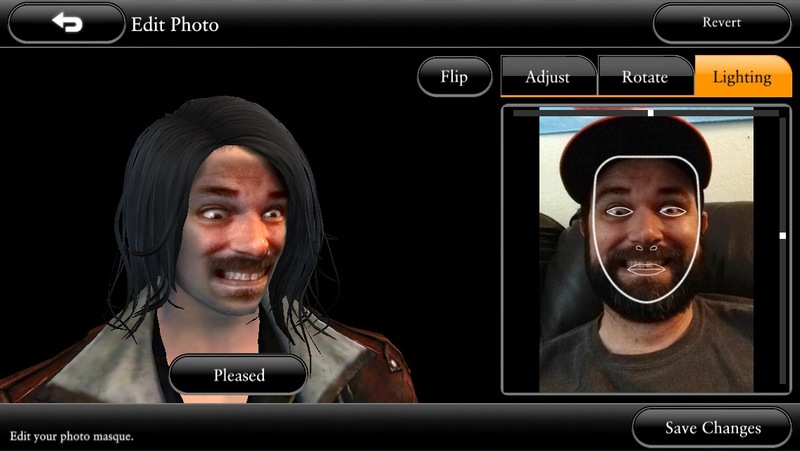 The default hair is pretty boss though, so it’s ok. Oh and if you don’t want to deal with any of the photo stuff there are pre-rendered faces you can pick from, but that sounds way less fun. Once you’ve got your character all set, the actual game part of Bloodmasque begins. The gameplay is sort of an Infinity Blade style of fighting, mixed with Square Enix style RPG battling. Honestly, it’s not bad. It uses tapping instead of swipe gestures for the main combat, and swipes to dodge attacks and counterattack against your opponent. 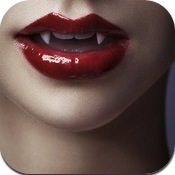 You’ll slowly fill up a special meter as you battle that can unleash your “dormant vampire blood" into a crazy powerful super move, and you also have some AI party members who help you out in battle. 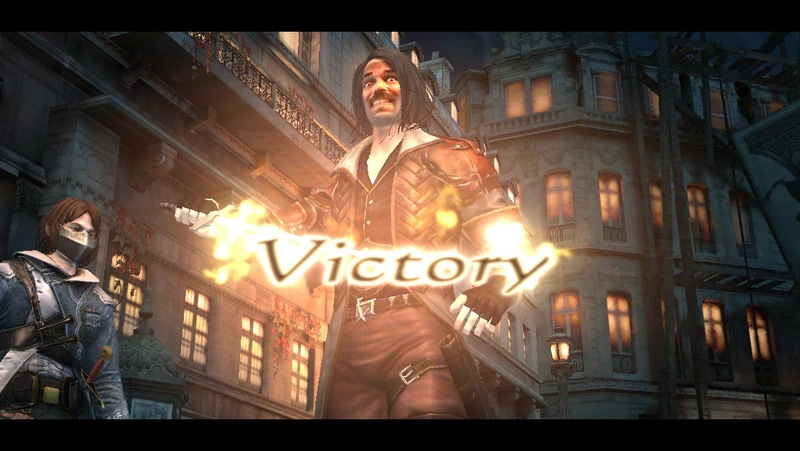 I’ve merely scratched the surface of the actual game part of Bloodmasque, but it’s surprisingly better than I thought it would be. The combat doesn’t seem very deep so far, but the story and production values are top-notch. I feel like I’ve got my money’s worth already just with playing around with the photo importing, but I’m also looking forward to seeing how the rest of the game shapes up. Bloodmasque should be hitting the US App Store later tonight, so start practicing your silly faces and stop by our forums to see what others are saying about the game.